So much is unknown about the expansive frontier known as space. Where do we go? Will we survive? What will we eat? There’s a satellite in the sky, passing over South America. 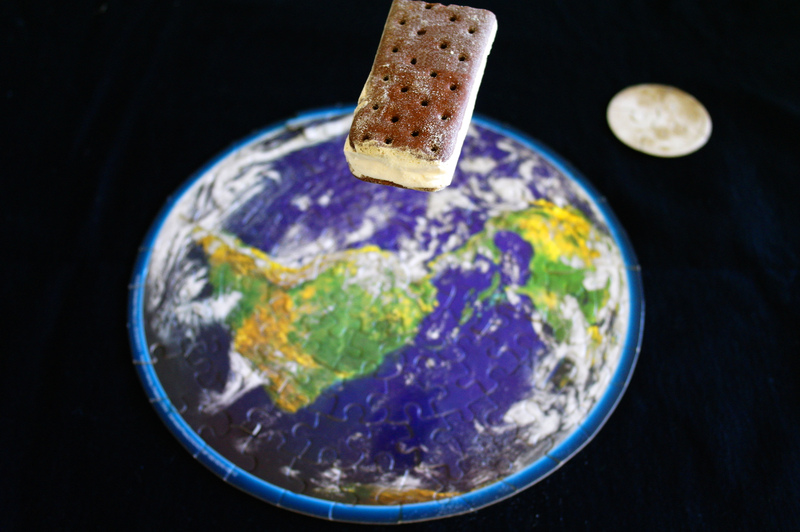 It’s hope and salvation in the form of an astronaut ice cream sandwich. Like the marshmallows in Lucky Charms, to bite at the sandwich is not so wise. Yes, break off a piece and let it melt in your mouth, allowing your moisture to return the freeze-dried texture to its natural creaminess. Don’t worry. Take your time. Unlike those ice cream sandwiches you enjoyed as a kid, this one’s not melting away like your innocence. This is a grown astronaut sandwich and it will wait until you’re ready to continue.